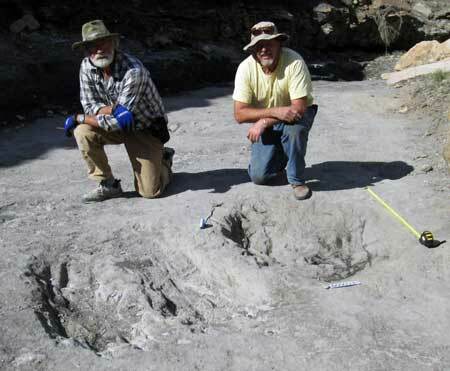 Peculiar scrape-like dinosaur tracks discovered in Colorado are likely the traces of courtship displays performed by male dinos, paleontologists say — the first physical evidence of mating rituals among extinct dinosaurs. Found at four sites in southwestern and central Colorado, the scrapes are up to two meters [6 feet] in diameter — as long and deep as bathtubs — in beds of sandstone dating back 100 million years. While the species that made them is unknown, the three-toed prints around them indicate that the scrapes were made by two-legged carnivores known as theropods. These newly identified fossil traces bear a striking resemblance to the marks left by modern birds, researchers say. The particularly resemble the scrapes made by males as they strut and scratch to attract the attention of females. So paleontologists suspect that the strange marks are evidence of what they call “prehistoric foreplay” among the dinosaurs of Cretaceous Colorado. 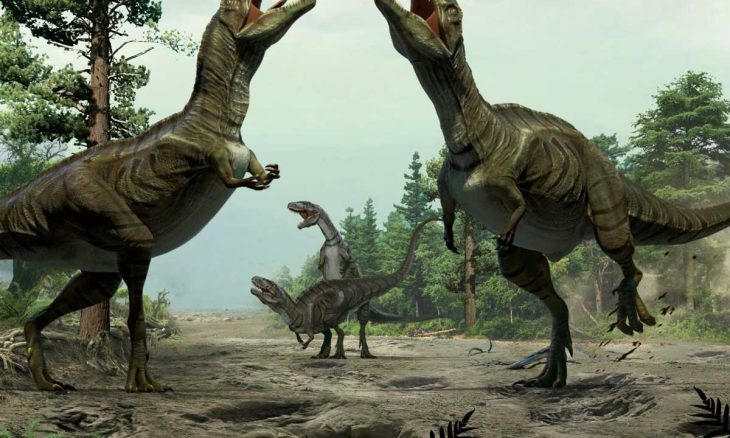 “These are the first sites with evidence of dinosaur mating display rituals ever discovered, and the first physical evidence of courtship behavior,” said Dr. Martin Lockley, a paleontologist at the University of Colorado-Denver, in a press statement. Lockley and his colleagues found more than 50 of the distinctive markings around the state, he reported. 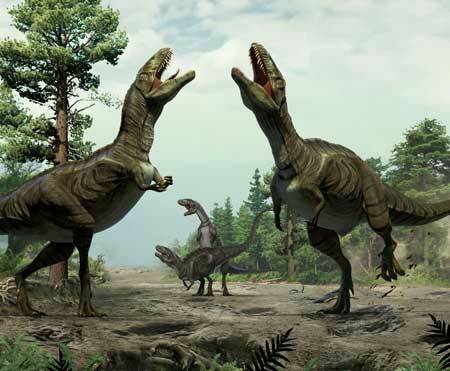 Some were discovered on two parcels of public land near Gunnison Gorge in western Colorado, and others just like them turned up along the famously fossil-rich Dinosaur Ridge near the Denver suburb of Lakewood. Although they’re often surrounded by more familiar dinosaur tracks, the scrapes don’t fit into any other known category of theropod print, Lockley said. However, in his description of the tracks in the journal Scientific Reports, Lockley notes that the marks do have “compelling parallels” with scrapes found near the breeding sites of a variety of modern birds, from ostriches to puffins. “Ornithological literature provides many reports of scrape ceremonies and nest scrape display activity,” he writes. Some male birds are known to perform a sort of mock nest-digging performance, Lockley explains, a display intended to flaunt home-making skills for females in the market for mates. The ramifications of the discovery are far-reaching, Lockley notes, not only because of the intriguing insights it provides into the behavior of individual dinosaurs, but also because it offers yet more evidence of the close evolutionary relationship between extinct dinosaurs and modern birds. “The scrape evidence has significant implications,” Lockley said in his statement. “This is physical evidence of prehistoric foreplay that is very similar to birds today. “Modern birds using scrape ceremony courtship usually do so near their final nesting sites. It’s a scene that tempts the imagination of even the most casual fan of dinosaurs and paleontology. Subscribe to Western Digs by Email!